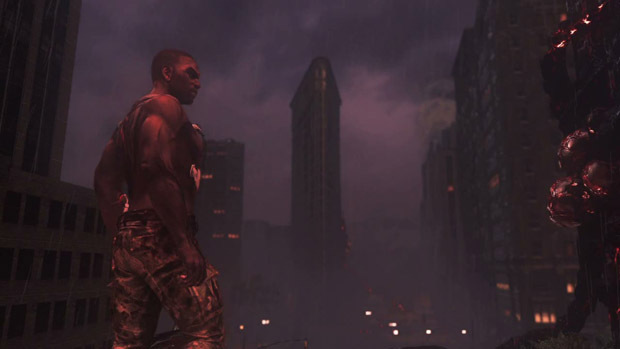 The first round of add-on content for Prototype 2 has released today on Xbox Live Marketplace and PlayStation Network. The Colossal Mayhem pack adds a Thermobaric Boom-Stick super power to Heller's arsenal as well as three other new abilities (Warp Vortex, Anti Gravity Field, Air Time) and three character skins. This is the post-release content offered as part of the Blackwatch Collector's Edition, so fans who purchased that can redeem the included code to get the Colossal Mayhem Pack while others can snag it for $4.99 (or 400 MSP). There's more content on the way as well. Activision has also provided a date for the next content release, the Excessive Force Pack which will be arriving May 29. This DLC will come with a Viral Infector Grenade Launcher super, three more powers (Shockwave, Chaos Creator Mode, Medusa's Wrath) and three more skins.